Muffins, Races, and BFFs galore! I got an iPhone about a month ago. God it’s worlds better than the LG Ally I had. And universes better than the HTC Eris before that. I can confidently say that I am an Apple girl all the way! I’ve been snapping lots of pictures with my iPhone. It’s not the world’s greatest quality (like I won’t be taking tons of pictures with it when we go to SPAIN! More later. ), but it’s so nice to take photos when I’m out and about. So here is a brief tour of the last week in my life via photos. 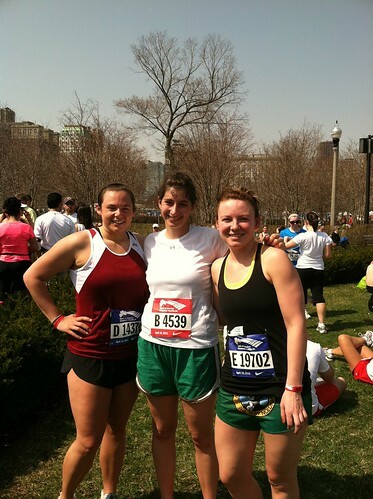 Two weekends ago we went to Chicago for the Shamrock Shuffle, an 8K that starts and ends in Grant Park. This was my first race since I’ve gotten serious about running. Marnie and her boyfriend Jannson have done it the past two years I believe. The weather was perfect on race day. I ran the 5 miles in 44 minutes. So proud of myself! The 717 totally tore it up! 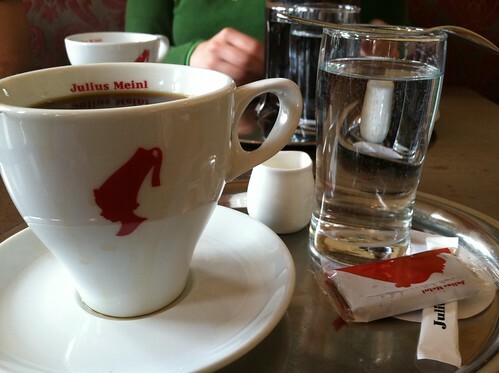 Coffee always tastes better with two of your best friends. Especially after steak dinner at 11pm the night before! This was one of my favorite trips to Chicago yet. One of my visiting people rules is Never Show Up to a Friend’s House Without a Baked Good in Hand. 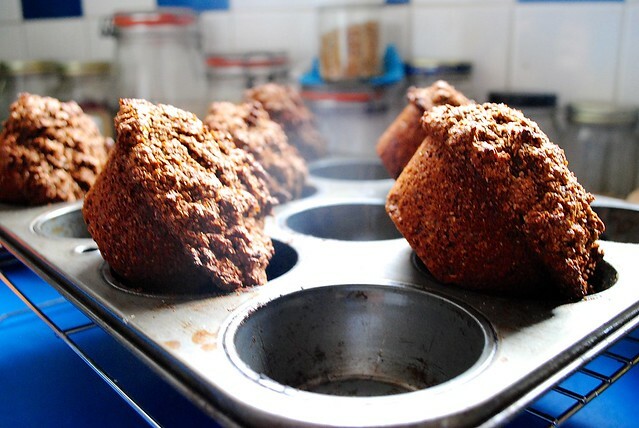 This weekend we were runners, so I picked a healthful baked good that would give us fuel. 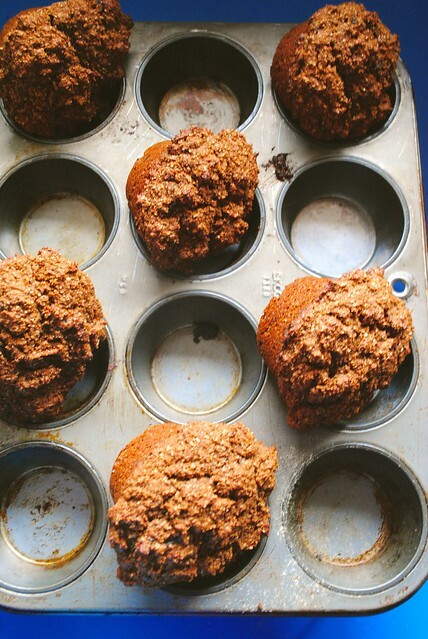 These ginger-cranberry oatmeal muffins from Everybody Likes Sandwiches were perfect. 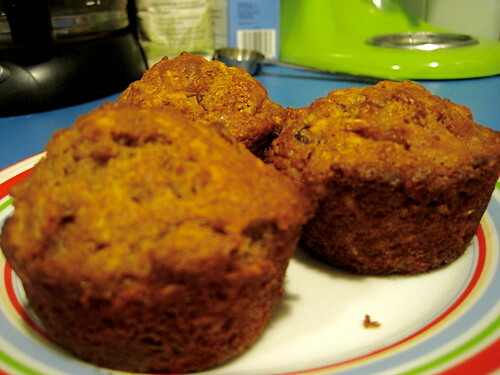 Made with only whole-wheat flour, oats, and no butter or oil, I really felt OK about eating these muffins. And they were not heavy or dense. Nicely the opposite in fact. I think my favorite part was the chewy candied ginger bits and tangy cranberries. 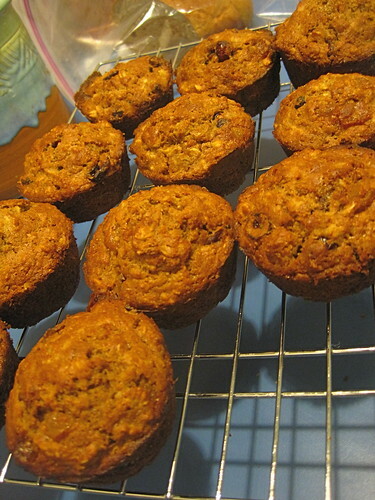 Click over to Jeanette’s blog for the recipe. The only thing I did different was replace the oil/melted butter with a mashed up and very ripe banana, per Jeanette’s suggestion. This past weekend my bff Bette came up from Charlotte to visit. Bette and I have been friends for 16 years. I have been down to North Carolina to visit her (in a non-working-at-camp visit) about five times in the last three years. Oh and plenty of times before that too. Bette, on the other hand, had visited me in Indiana twice in the past 16 years. Granted, North Carolina is like 20 times cooler than Indiana. But I was ecstatic when she finally bought a plane ticket to see my city. We ate crepes, drank local beer, went to Luna Music for National Record Day (OMG The Head and the Heart album is to die for! 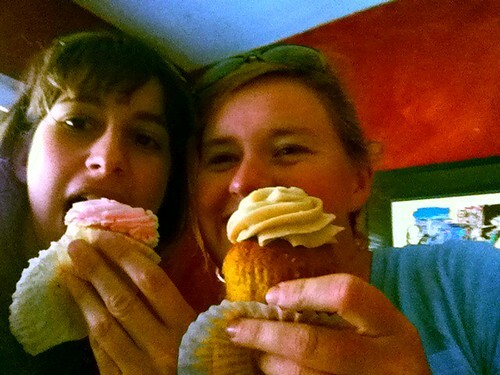 ), hung out in Zionsville, and ate cupcakes, despite less than ideal weather on Friday and Saturday. 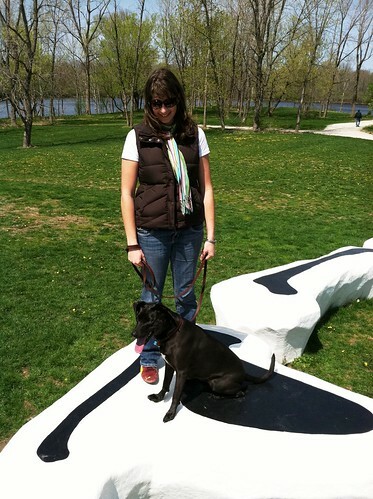 We even found some sunshine time to take Mira to 100 Acres at the Indianapolis Art Museum. I hope she comes back sooner than 11 years from now!! I do love the girl. And in news that I cannot yet document in photographs, Michael and I are going to Spain for 10 days in May. In fact, we leave in 2 1/2 weeks!! We’ll be staying six days in Granada and two days in Madrid. Hopefully there will be some site seeing, beach going, hiking in the Sierra Nevadas, lots of delicious food and wine consuming, and merriment! Have you been to Spain? I’d love to hear favorite places, recommendations, and general input.